BARRISTERS AND SOLICITORS are due to begin a strike today over proposed cuts to legal aid fees. The action may see criminal cases halted at the Criminal Courts of Justice if lawyers do not turn up to represent their clients. Minister for Justice Alan Shatter has called the strike action “extraordinary” and called on lawyers involved to avoid the walkout. The Criminal Law Practitioners Organisation, which is organising the strike, argues that a 10 per cent reduction in legal aid fees will see defence lawyers earn less than prosecutors. 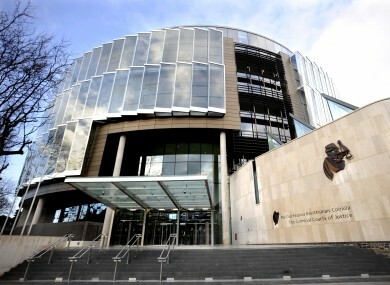 Legal aid schemes are highly oversubscribed and the Criminal Legal Aid budget is expected to run €10million over target this year, leading to funding being diverted from other areas of the Department of Justice. Other programmes offering free legal advice to those in need have reported a significant rise in cases as the legal aid system is so overstretched. In a statement, the Courts Service said all cases due to be heard today are listed as normal. However, it said if solicitors or barristers are absent from the court then the judge can decide to take appropriate action. Email “Criminal courts may stop hearings as lawyers begin strike”. Feedback on “Criminal courts may stop hearings as lawyers begin strike”.